Paul and Susan Lee are both originally from New York. Paul was born in Seoul, South Korea but immigrated to the United States with his parents at a very young age. It was in college that he first believed to be called to the missions field. Prior to entering the missions field, Paul studied and worked in the engineering and biomedical industries. Susan studied mathematics and her experiences ranges from IT, teaching and administration. Susan was born and raised in New York, where she spent most of her life. Although most of her friends were believers, it wasn’t until college that she heard the Gospel. It was also in college that her eyes were opened to the marginalized and the unreached people in the world, asking God to send her as a missionary. Paul and Susan met at their former church in 1995 and married in July 1999. They have two boys: Caleb (6/10/2004) and Nathanael (1/3/2008). 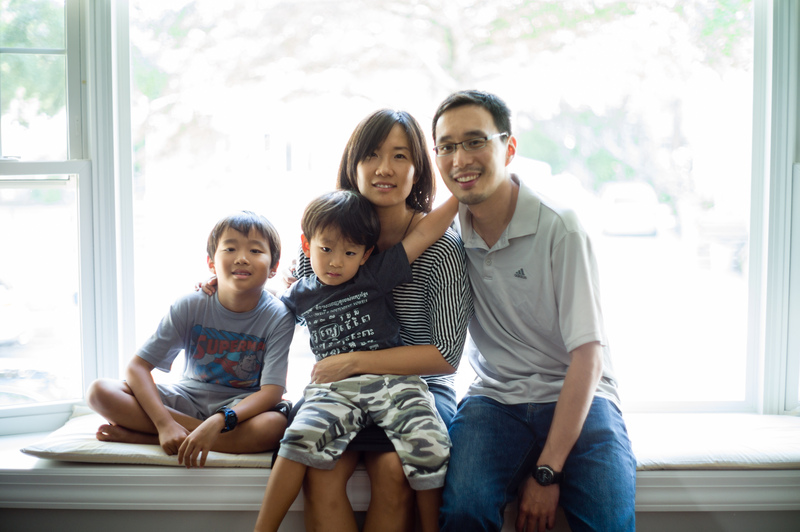 Paul and Susan have served alongside their pastor, Francis Chang, since 1999. In 2006, they joined Francis to plant a church in New Jersey, Sojourner Presbyterian Church, where Paul served as a pastoral intern. Prior to their departure, Paul was ordained and the church became particularized. In October 2010, the church commissioned Paul as the first missionary from their presbytery. 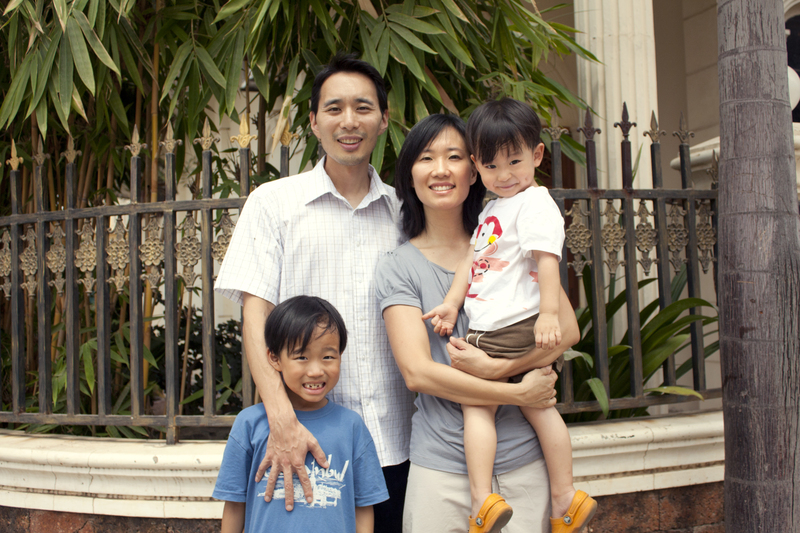 The Lee family joined the MTW team in Phnom Penh, Cambodia in November 2010. Upon arrival, their main focus was on learning the Khmer language and getting cultural adjusted. Additionally, Paul has been overseeing three church planting projects, a church plant (KCC) in Toul Kork, the another in Toul Sangke, and another in the village of Angkejay. The boys are being homeschooled by Susan. The family took their first HMA (Home Ministry Assignment) for 6 months in 2012, during which time they went through the process to become MTW long-term missionaries. Shortly after returning in October 2012, Paul has become the co-Team Leader. Currently Paul is serving as Regional Director over SE Asia. While serving as Team Leader of MTW Cambodia, he also oversees the church planting work in Myanmar, Vietnam and Thailand. In addition he serves on the MTW AsiaPac Leadership Team. Meanwhile Susan’s primary role continues to be supporting Paul and homeschooling the boys. She helps with team needs and serves as Short-Term Team coordinator. She enjoys teaching English on the weekends at KCC. In Feb 2017, she began a monthly bible study with the wives of the pastors in the Cambodia Presbyterian Association. Paul has received his B.S. from Brown University, his M.S. from Columbia University, and his M.Div from Westminster Theological Seminary in Pennsylvania. Susan has received her B.A. from Barnard College. Hello, Lees! My name is Jung-Hoon Lee. I happened to find your website when I was googling with the phrase “the lee family” to see if it yields my website info. I also have a website, and it is titled “The Lee Family” since Lee is my family name too. Anyways, I just wanted to say hello. God bless. Hello! Thank you for your comment. I could not check out your language project.org but wish you the best. Loving greetings to you in the blessed name of our Lord and Savior Jesus Christ. We continue to pray that May God richly bless your ministry. We are very grateful to inform you that our church would like to be part of this mission by supporting financially. We are going to contributing $100.00 for every month in 2017 beginning in January. Please send us the bank account information. And please pray for our church to continue to serve our Lord by spreading His word. Thank you. God be praised. Dear Mrs. Kim, I just saw this post. Thank you so much for your encouraging message. I’m so sorry we didn’t meet during our last visit. Thank you so much for you and the church’s support and love. Happy New Year!